The St. Paul High School Pep Squad is open to all ninth-twelfth grade students. Pep Squad members cheer at sporting events, participate in pep rallies, compete at competitions, and promote school spirit all year long. In addition, they serve as ambassadors for the school when requested. 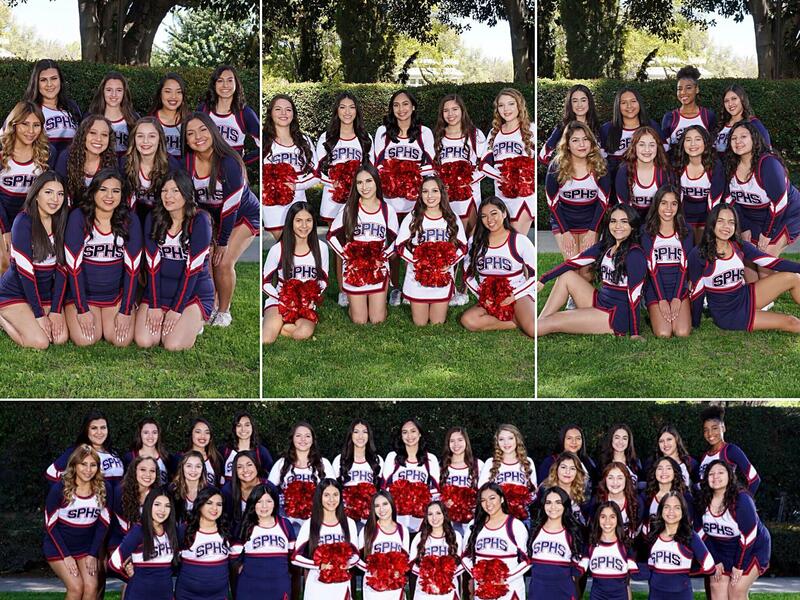 Pep Squad consists of Varsity Cheer (10th-12th), Varsity Song (9th-12th), and JV Cheer (9th-10th). Competition squads for both Cheer and Song are picked by coaches in the fall. Due to the demanding game & practice schedules, Pep Squad members may not join any other sport besides Track & Field in the spring. Pep Squad members are also required to enroll in the sixth period Pep Squad class. Try-outs for Pep Squad are held every April. More information regarding Pep Squad is available by contacting, advisor Mr. David Garcia (‘05) at dgarcia@stpaulhs.org.